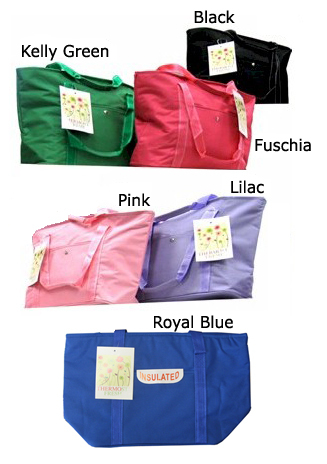 The fitted liner is constructed of a heavy duty canvas like nylon. The liner attaches securely to your shopping cart using hook and loop fasteners. The "hood" of the liner folds over the top of your shopping basket (or items) and is water-repellant. 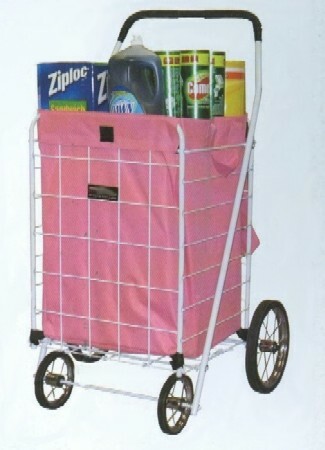 Great for shopping, laundry or many other practical uses. Liner is very good quality. One initial drawback: the HORRIBLE odor of the waterproof coating! It took about two weeks for this creosote-like odor to dissipate. Otherwise this is a very good product which I'm happy to recommend. 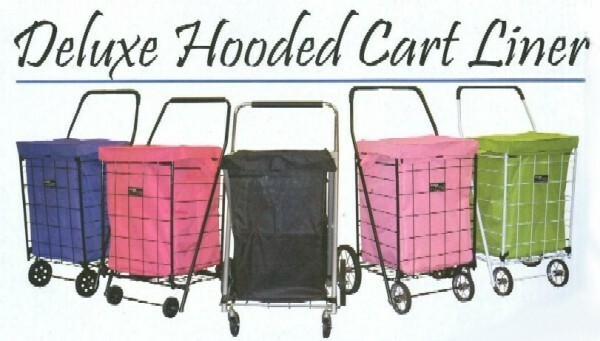 I purchased the deluxe hooded pink liner for my Canton First Monday Trade Days cart. It's great! Heavy duty and stays in place. 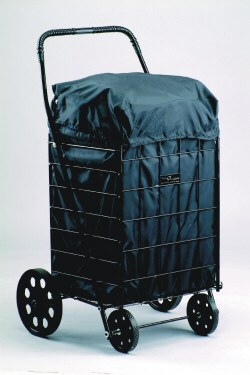 Have been delighted with your Deluxe Hooded Cart Liner. Bought one for my sister we found this product to be #1 in liners!